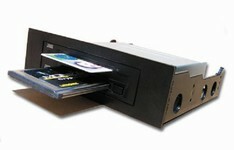 Call sales at 949-500-0897 for Pricing, Minimum Order Qty and Lead time. Email sales@litronic.com. The SCR 243 smart card reader enables true mobile CAC computing for your laptop without the nuisance of carrying around a peripheral smart card readers. No cable to mess with, no protruding objects and when inserted it is flush with your PC sides. Not even a wireless card offers that convenience. The SCR 243 smart card reader is a patented design that fits effortlessly into a standard PCMCIA Type II slot and offers a specialized mechanism for easy smart card insertion. The smart card reader provides secure access to sensitive data; it can be used for CAC applications, secure online banking, e-Mail encryption as well as digital signatures. The EMV certification recommends the reader especially for applications with banking. The SCR243 is based on a STC II controller chip that supports multiple interfaces, multiple reader devices and all relevant security standards. The STC II chip was the industry's first to offer On-board Flash, allowing for firmware upgrades and application enhancements. The Argus® 4215 is a internal Two Slot Smart Card Reader that can simultaneously be used with CAC, PIV or Combo Smart Cards. 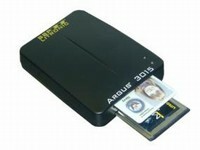 It is designed to allow professionals the use of alternative smart cards to access multiple networks. This plug-n-play USB 2.0 device is Windows certified for 32 and 64 bit systems and provides full functionality for a variety of CAC & PIV applications.